Citrus, passion fruit, olives, walnuts, roses, papaws and ornamentals. Tiny yellow wasps capable of short flights within a tree or to the next tree. Adult female lays her eggs under the scale cover onto the body of female scales. 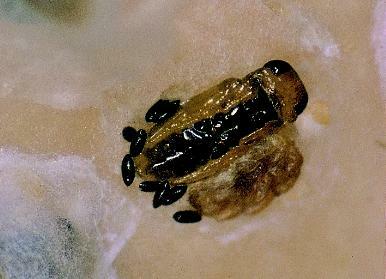 After hatching the aphytis larva feeds on the scale insect. Supplied as live adult wasps in small vials holding about 1,000 wasps. 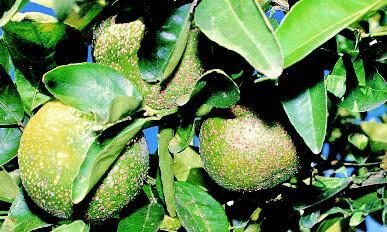 Releases should be made before the scale insects have built up to damaging levels. 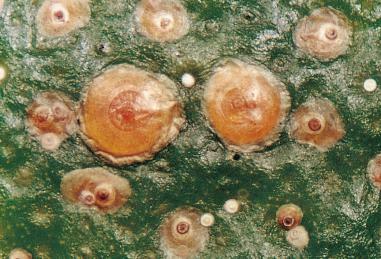 Multiple releases are recommended during anticipated periods of pressure from scale insects. Opened vials are attached to foliage with a rubber band and wasps emerge in their own time. Details of release procedures and recommendations are provided on request. 20,000 to 50,000 per hectare. Or view or download the entry for Aphytis here.